Thursday 11 a.m. - 8 p.m.
Friday 11 a.m. - 8 p.m.
Sunday 8 a.m. - 5 p.m. 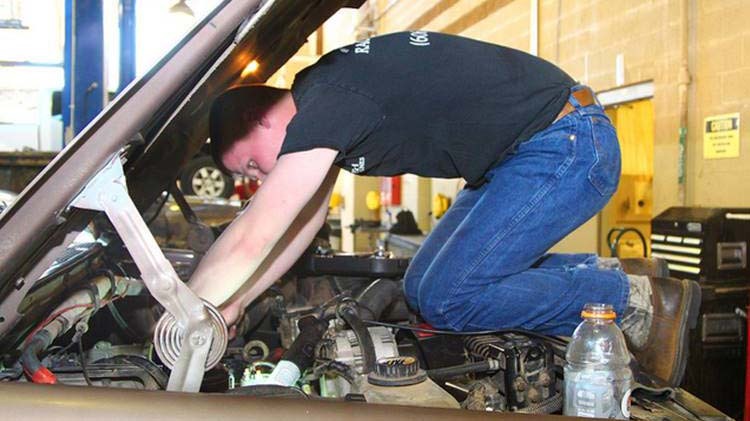 The Auto Craft Shop’s mission is to provide recreational opportunities, promote morale, and to develop, increase and sustain automotive skills of authorized patrons. We are open to all service members, Retirees, DA Civilians, Fort Jackson Civilians, National Guard members, Reservists, and the Families of all aforementioned patrons. Community Recreation Division has made all of this possible by providing you with a facility, equipment and tools. Also available to you is personalized instruction, maintenance and repair assistance while working on your vehicle whether it is a truck, car, van, motorcycle, scooter or boat. The Auto Craft Shop staff is a courteous and professional staff well trained in the automotive areas and will assist and guide you with your project. Lifts and floor jacks that will lift any type of vehicle are located throughout the shop areas. Jack stands in two and five-ton capacities and transmission jacks are also available for use. Patrons are not permitted to work on a vehicle supported by one jack only; therefore, the shop provides ample jack stands for each stall. The paint booth is equipped with an air make-up unit and a filtering system. This will allow painting year round. The machine room has tables with a bench vise, a hydraulic press, a grinder and a drill press. This area is equipped to rebuild engines, transmissions and other parts. The machine room is treated like all other stall areas in the shop; patrons sweep and clean the tables after each use. The welding area has an arc welder, tig and acetylene and oxygen equipment. The welding equipment may be used by anyone that has a welding certificate and has been briefed by the shop manager or has completed welding classes. All welding will be performed in a safe and protective manner. The do-it-yourself car wash/vacuum area is located in the back of the Auto Craft Shop. A small fee is charged for washing and vacuuming. This service is provided year round. To accommodate major overhauls, the outside parking are can store up to 20 vehicles awaiting repair and/or repair parts. The Tool Room is well stocked with standard and metric tools. Many specialty items are also available including air wrenches, spring and strut compressors, tach and dwell meters, volt and amp meters, cylinder hones, ring groove cleaners, cam bearing installers/removers, drill and some body tools. All services available are on a first come, first serve basis with the exception of the paint booth, which must be reserved in person. A safety briefing is required for all patrons using the facility. Briefings are given at the Sign In/Out Counter. The Autocraft Shop's Mission is to provide recreational opportunities, promote morale, and to develop, increase and sustain automotive skills of authorized patrons. We are open to all service members, retirees, DA civilians, Fort Jackson civilians, National Guard members, Reservists, and the families of all aforementioned patrons. Auto Craft Shop now has detailing available Thursday-Sunday.